Last day for all DeKalb County schools. Grad Central Station is your one-stop shop for DeKalb County School District graduation information. Customer Service is at the top of our list, and our goal is to provide our school community with a convenient and efficient way to share graduation news, and a positive experience for families. Grad Central Station was created to ensure that we support the academic achievement of students with equity and access. Beginning in 2018, ALL DCSD high school graduation ceremonies will be held at either the Georgia World Congress Center. Please continue to check the Grad Central Station Website for updates on the 2018 graduation ceremonies. Independence Day: Schools & Administrative Offices Closed. 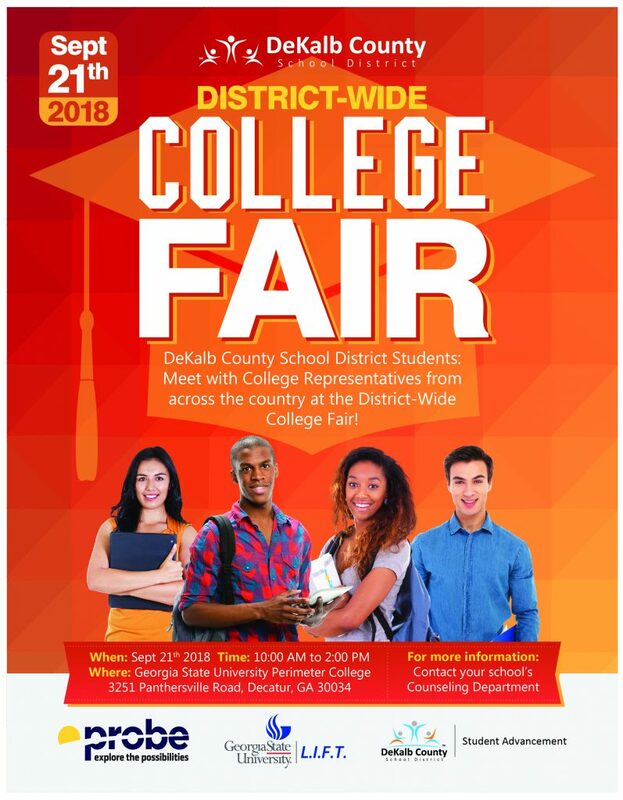 Meet with college representatives from across the country at the district-wide college fair. High school juniors and seniors should contact their school’s counseling department for more information. 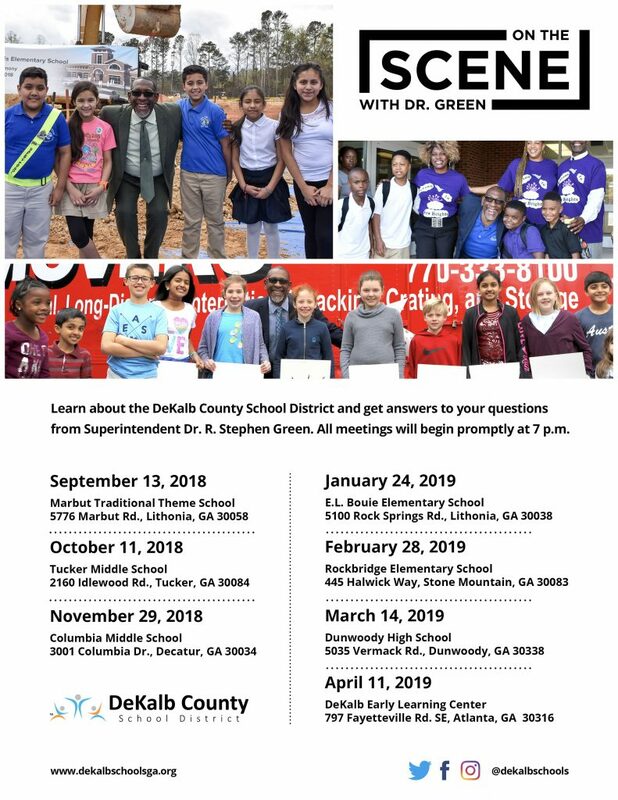 The DeKalb County School District (DCSD) will conduct six (6) public meetings as a part of two (2) upcoming redistricting efforts: three (3) meetings regarding the new John R. Lewis Elementary facility redistricting, and three (3) meetings regarding the redistricting of elementary schools in the Druid Hills Cluster. 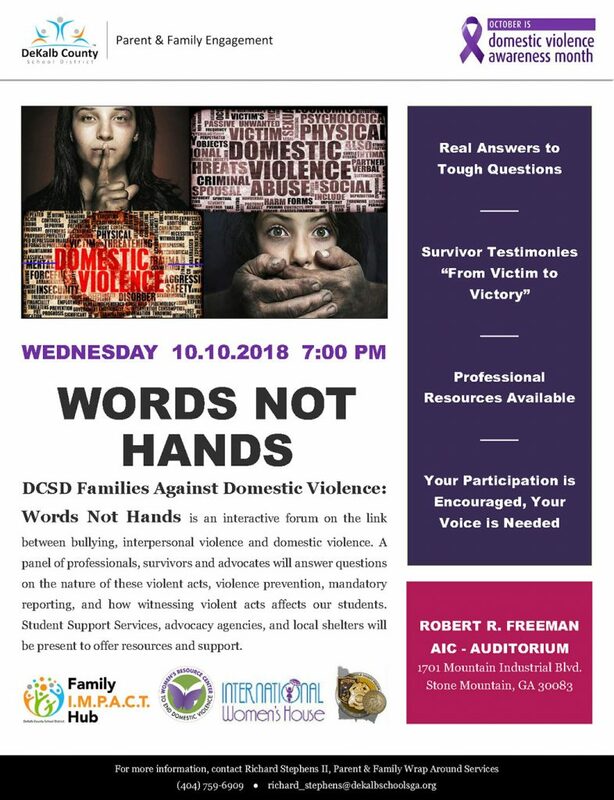 DeKalb County School District (DCSD) parents and community members are invited to participate in the upcoming ‘Words Not Hands: DCSD Families Against Domestic Violence’ forum being held on Wednesday, October 10th at 7:00 PM. This forum will feature a panel discussion that will give real answers to tough questions, as well as testimonies from domestic violence survivors. 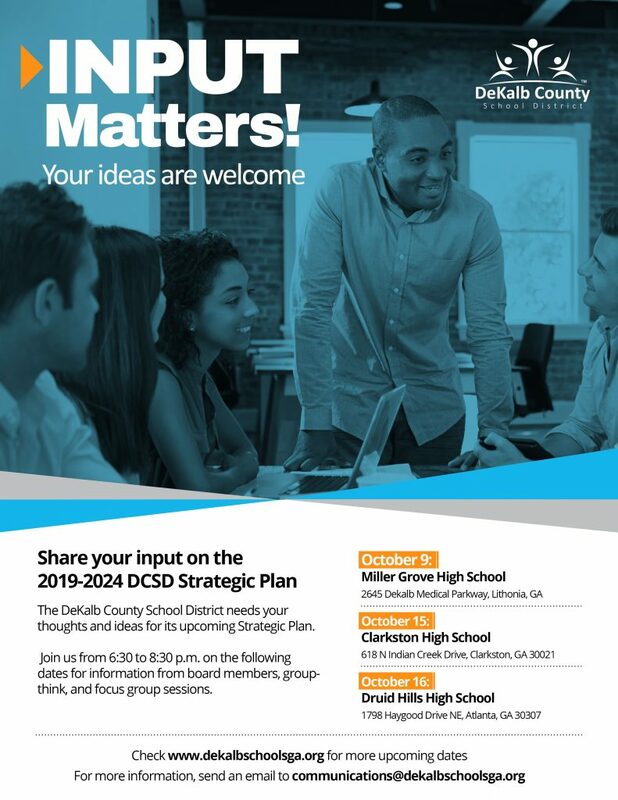 The event will include round table discussions and professional resources from DCSD’s Student Support Services, advocacy agencies, and local shelters. 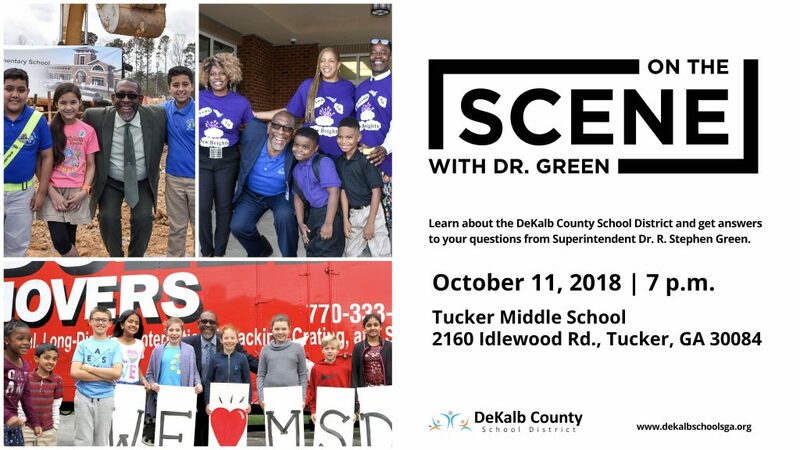 In partnership with Parent Council United, Superintendent/CEO Dr. R. Stephen Green talks about the DeKalb County School District. Administrative Offices Open Nov. 20-22. 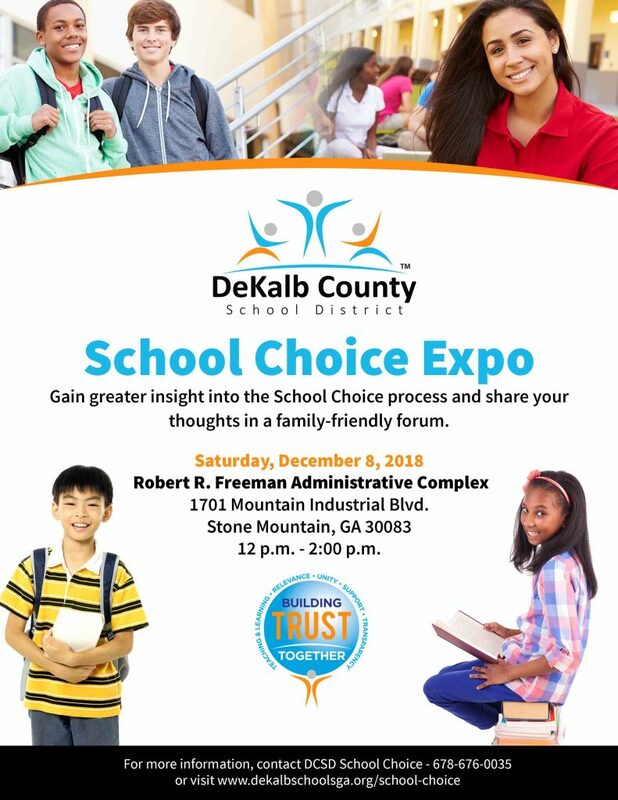 The School Choice Expo will be held on Saturday, December 8, 2018 from 12:00 p.m. – 2:00 p.m. at the Robert R. Freeman Administrative and Instructional Complex. 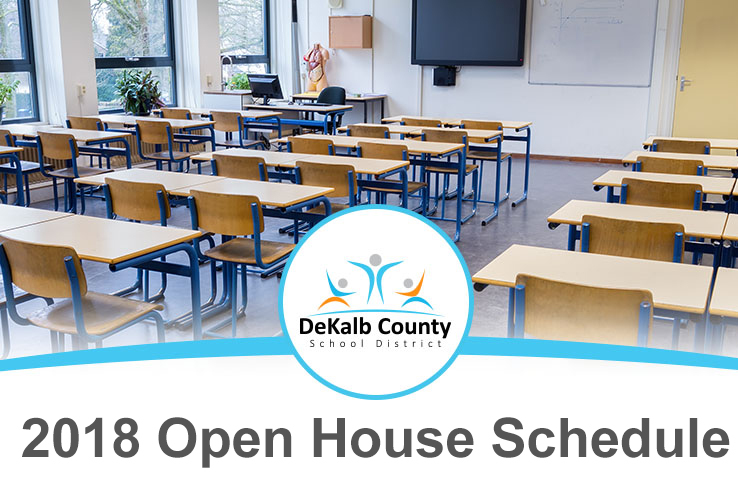 The School Choice Expo will inform students and families about their options for enrolling in the district’s specialized programs. 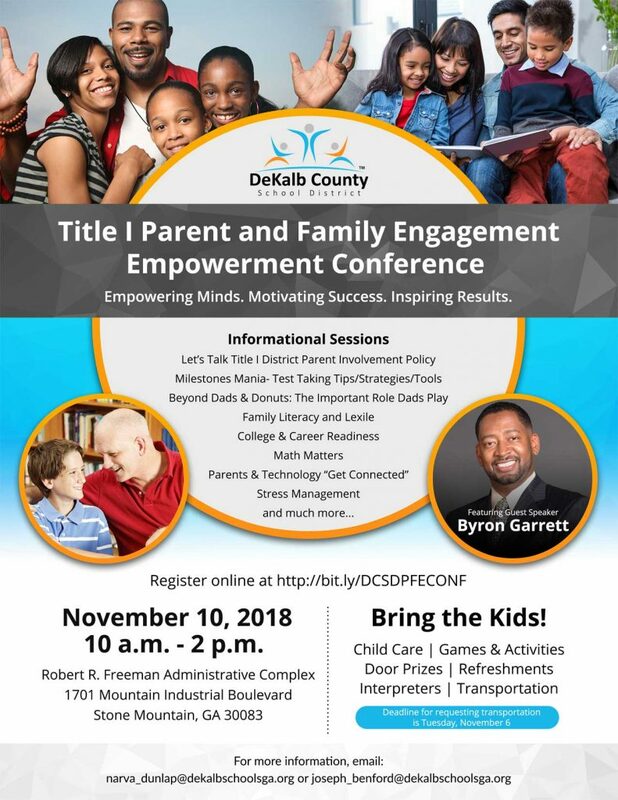 Representatives from each of the DeKalb County School District’s nearly 40 choice programs will present informational materials and creative displays, as well as provide answers to participant’s questions. Teachers to report on January 3, 2018. 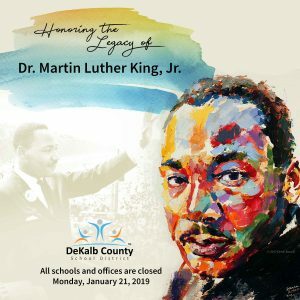 All DeKalb County School District (DCSD) schools and administrative offices will be closed on Monday, January 21, 2019 in observance of Martin Luther King Jr. Day. Schools and offices will reopen on Tuesday, January 22, 2019.